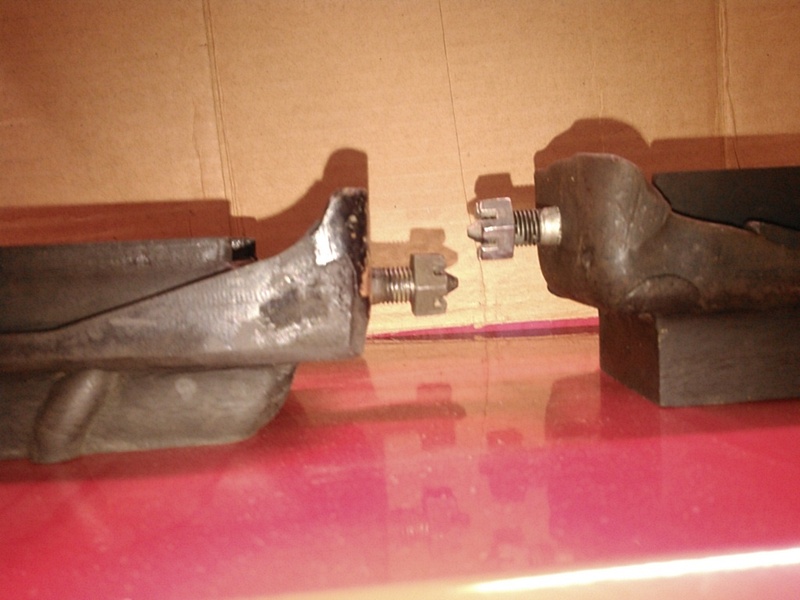 I thought I saw a post in the last 6 months discussing early motor mounts with a picture of the spacing difference. I know that '64 is different from '61-'63 but I can't find the post with the picture. I have a bunch of non-A/C mounts but would like to know the spacing difference. I searched every way I could think of including Google's site: search. The stud in the '64 mount is towards the rear of the car compared to the '61-'3 mount to make room the HB. In the '61-'3 mount the stud is centered in the mounting pad of the mount. Find a 64 engine mount bracket also for extra belt clearance. I know the sides was moved but how much and the one mount I have seems to be thinner? That would require a thinner inner spacer. My p parts catalog doesn't list the A/C mount or spacer. Maybe the attached picture will help. The mount on the left is from a '61 with AC. The mount on the right is an NOS non-AC mount. With both laying on the surface that bolts to the rear frame rail, the difference in the bolt location is 9/16". So the AC style moves the bolt 9/16" closer to the frame rail, at least for these two examples.